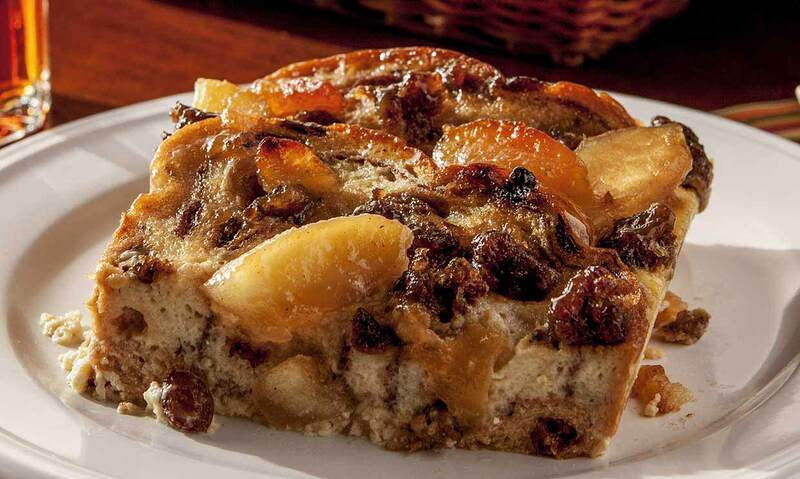 Maple sausage, sliced apples, eggs and cinnamon raisin bread… this tasty twist on French Toast casserole is the sweetest way to wake up in the morning. 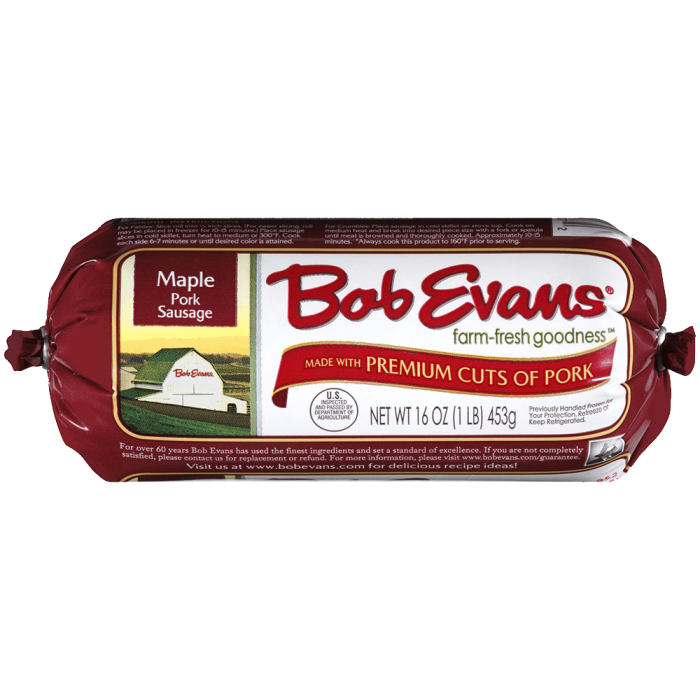 In a large skillet over medium heat, crumble and cook Bob Evans Maple Sausage until browned. Drain excess grease. Mix in package of Bob Evans Glazed Apples. Set aside. Spray a 9x13” baking pan with cooking oil spray. Place bread slices in baking pan in a shingle pattern, building layers like a casserole of lasagna, ensuring that pieces overlap. Spoon sausage/apple mixture in between and on top of bread slices. In a bowl, whisk milk and eggs together until well blended. Pour over bread, sausage and apples. In the morning, preheat oven to 350 F.
Uncover the pan and bake for 50 to 60 minutes or until browned and the custard is set. 1 In a large skillet over medium heat, crumble and cook Bob Evans Maple Sausage until browned. Drain excess grease. 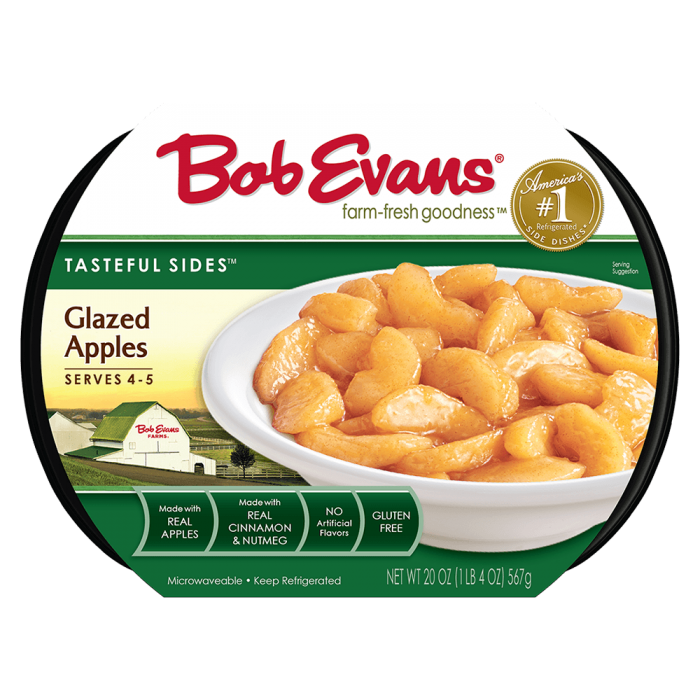 2 Mix in package of Bob Evans Glazed Apples. Set aside. 3 Spray a 9x13” baking pan with cooking oil spray. 4 Place bread slices in baking pan in a shingle pattern, building layers like a casserole of lasagna, ensuring that pieces overlap. 5 Spoon sausage/apple mixture in between and on top of bread slices. 6 In a bowl, whisk milk and eggs together until well blended. 7 Pour over bread, sausage and apples. 8 Cover and refrigerate overnight. 9 In the morning, preheat oven to 350 F.
10 Uncover the pan and bake for 50 to 60 minutes or until browned and the custard is set. 11 Serve with maple syrup.